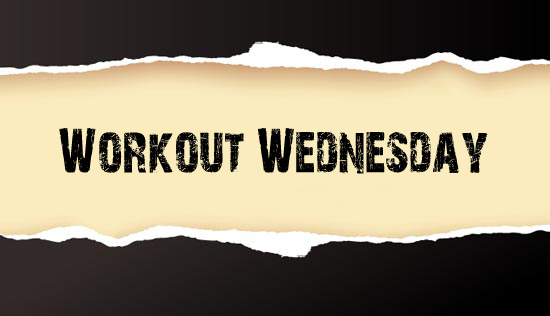 Call me stubborn, call me hard headed, call me anything you want that describes sticking to my guns on something but, leg day is on Wednesday and will always be on a Wednesday for me. Everyone at my gym does leg day on Friday. Thursdays I have classes and my regular day job, so I use it as a rest day where I take Dunkin on a nice long walk, or maybe hit the water in the summer for a paddle. Mondays and Tuesdays are a no go because of my regular day job. When I have coverage, I’m running up and down sidelines snapping photos. Constantly on the move. Key part in moving? Legs. I can’t be suffering post-leg day effects on those days. Coverage usually tapers after deadline days, so Wednesday has become the perfect fit. If my gym schedule shifts and somehow my leg day is supposed to fall on a Tuesday or even a Monday? Nope. I will swap my days around. No hesitation. I’ve got Wednesdays on lock. Which is why yesterday was a shoulder day. Shoulders are my sucky weak point. It wasn’t until I hit a Jessie Hilgenberg workout, followed by Shortcut to Size, that my shoulders started “appearing”. My arms looked good, my back looked amazing, but I didn’t have much by way of shoulder size and definition. It has taken me about seven months to “grow” them and develop the shape of my traps, but I’m doing it and I couldn’t be happier to have a cohesive look to my body for a change. Although something that has popped up over the last few weeks may be very quickly playing a role in that. But that’s a post for next week. Last week I started this shoulder workout from none other than Hilgenberg, and I love it. I won’t lie, I did struggle at first with getting through it and staying consistent. I try to keep my rep range the same for each set and exercise, as well as not have to change my weight mid-set. Because I’ve been pushed into “maintenance mode” currently by my doctor, I haven’t really pushed myself in weights. I’ve picked weights that I’m comfortable with and will still challenge my muscles. The first day I did this, I did 4 sets of each, about 10-12 reps each of the lighter weight. This week, where I felt more than comfortable with what I was using for weight last week, I bumped it up a little and did only about 8 reps for each set.